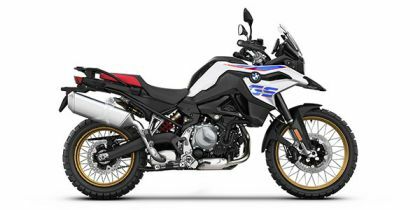 BMW F 850 GS price starts at Rs.12.95 lakh (Ex-Showroom, Delhi). The BMW F 850 GS is powered by an all-new 853cc, parallel-twin motor that produces 95PS of power at 8,250rpm and 92Nm of torque at 6,250rpm. The bikemaker claims the bike can clock top speeds north of the 200kmph. The motor is mated to a 6-speed gearbox and also gets a slipper clutch for smoother downshifts. The BMW F 850 GS also gets 'Road’ and ‘Rain’ riding modes with ABS and ASC to better manage tough terrains. Pro riding modes like ‘Dynamic’, ‘Enduro’ and ‘Enduro Pro’ are available as optional extras, along with dynamic traction control and ABS Pro modes. BMW enginee rs have equipped the bike with 43mm USD forks at the front and a monoshock at the rear to take on the rough roads. The saddle of this adventure tourer sits 860mm above the ground. Braking is managed by 305mm dual disc brakes up front, while the rear comes with a 265mm single disc brake.